As a mom of a toddler who is becoming more and more independent, I look for products that will help me help her…avoid mess. It’s amazing how much time we spend cleaning – her, her high chair, her clothes…and of course our floors. Have you ever swam in a sea of Goldfish crackers? Our cat has. 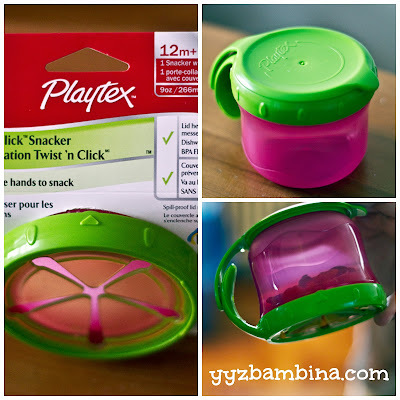 But he no longer needs to fear being rained on by cheddary goodness – now Hannah has a Playtex Twist ‘n Click Snacker Cup. 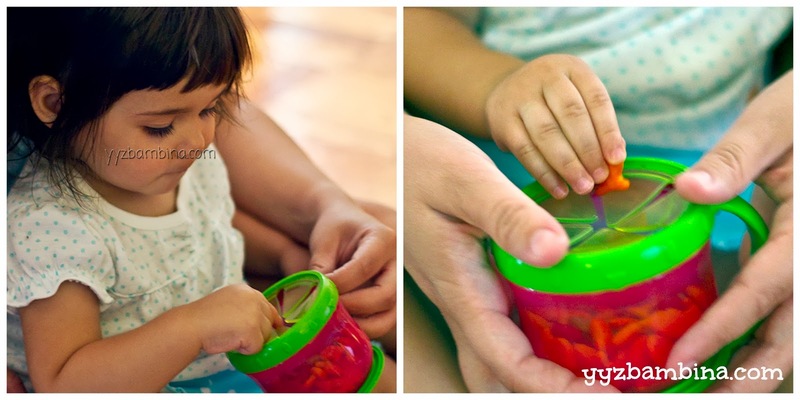 Hannah’s hand can easily reach in to get the snacks, and even held upside down the Snacker Cup won’t allow snacks to escape. It comes apart easily to clean, and doesn’t take up more space than anything else is in her kitchen cupboard. In a couple of weeks Hannah is switching day cares and will commute with me to and from work. This is the perfect way to let her snack if we get stuck in traffic, without me having to clean the inside of the car every night. It’s also perfect for trips to the park, mall or any other time she might eat in her stroller – if she drops the Snacker Cup her snacks will stay protected. Your cat will thank you. 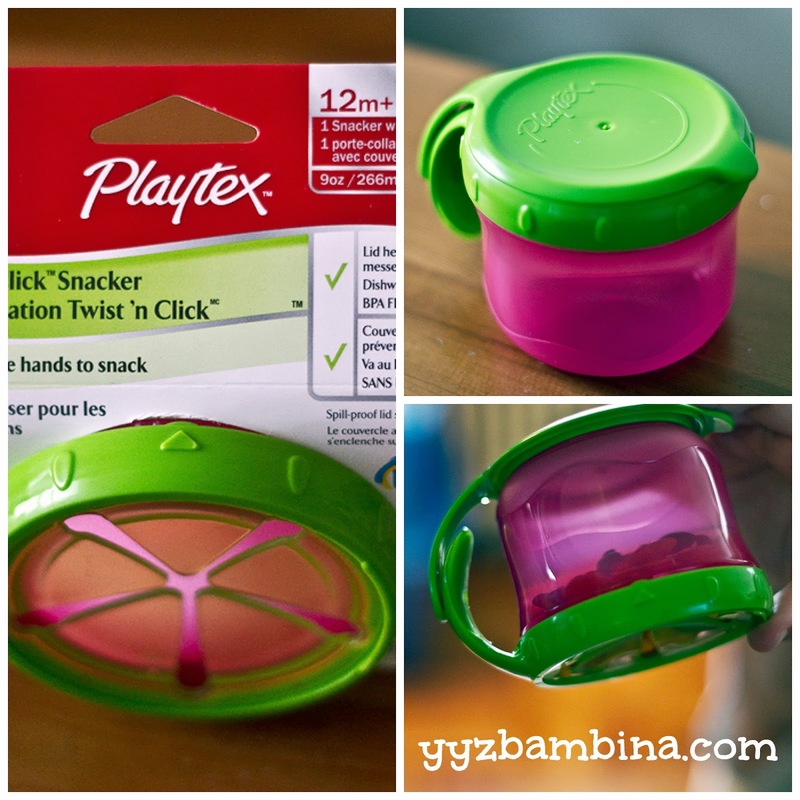 Disclosure: I received a Playtex Twist 'n Click Snacker for the purpose of this review. As always, all opinions on this blog are my own.